At the heart of the matter is a desire to ensure all data links whether they originate from the OpenLDAP Server itself, from clients, processes or from LDAP tools such as browsers and editors are encrypted. The below figure represents this issue clearly. For the purposes of securing OpenLDAP data, self-signed certificates are used in lieu of commercially available certificates. Change the permissions as indicated above. # contextCSN saved to database every 100 updates or 10 mins. Note: URI has changed from the first article in this series in order to reflect using certificates with matching URI names. # information in the directory. # See the manual page nslcd.conf(5) for more information. # The default search scope. # Customize certain database lookups. # Use StartTLS without verifying the server certificate. To ensure TLS/SSL is configured correctly and our certificates are valid. A little testing is in order. From the last line of the output, one can see our security strength factor (ssf=128) that requires a minimum of 128 bit cryptographic key length is working fine. Next, ldapsearch command is executed again with the -Z Z option which issues the startTLS extended operations and requires the operation to be successful. From the abbreviated ldapsearch -ZZ command output, it’s evident our certificates and TLS/SSL requirements are working correctly. By now, all the end points, servers, processes, and tools connect to the OpenLDAP servers via TLS or SSL connections. In Part VI, Macintosh OS X 10.9 client connections to the OpenLDAP Server is demonstrated. I see that you put the same, server1 data to both servers configuration. Is that only an accident or did yo do that on purpose? 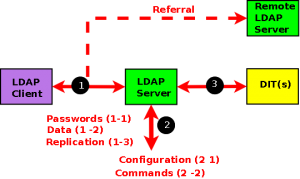 In the example, Server 1 should have ldap1cert.pem and ldap1key.pem and Server 2 should have ldap2cert.pem and ldap2key.pem. 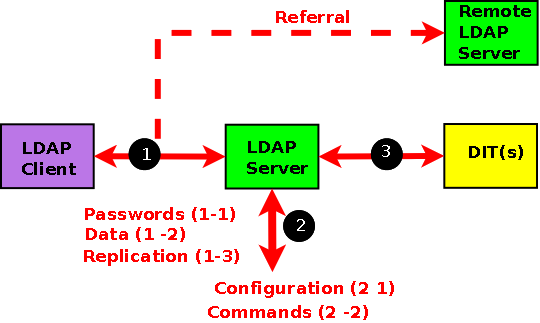 Each ldap server must have its own certificate. Thanks for the feedback! P.S. I corrected the site to reflect the change.